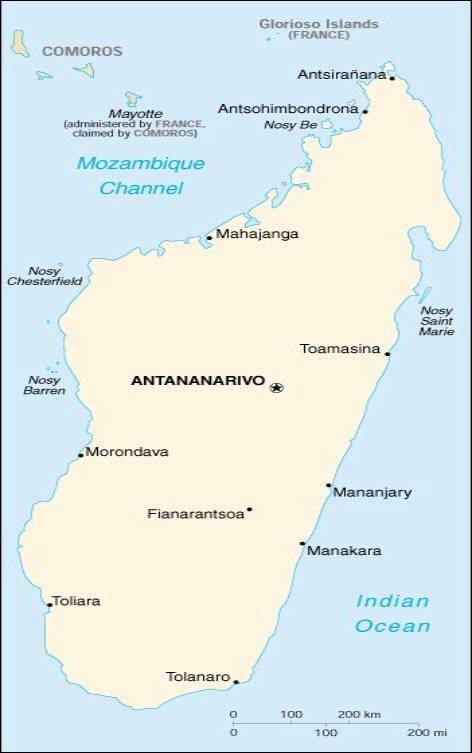 Formerly an independent kingdom, Madagascar became a French colony in 1886, but regained its independence in 1960. During 1992-93, free presidential and National Assembly elections were held, ending 17 years of single-party rule. In 1997 in the second presidential race, Didier RATSIRAKA, the leader during the 1970s and 1980s, was returned to the presidency. Madagascar faces problems of chronic malnutrition, underfunded health and education facilities, a roughly 3% annual population growth rate, and severe loss of forest cover, accompanied by erosion. Agriculture, including fishing and forestry, is the mainstay of the economy, accounting for 30% of GDP and contributing more than 70% to export earnings. Industry features textile manufacturing and the processing of agricultural products. Growth in output in 1992-97 averaged less than the growth rate of the population. Growth has been held back by antigovernment strikes and demonstrations, a decline in world coffee prices, and the erratic commitment of the government to economic reform. The extent of government reforms, outside financial aid, and foreign investment will be key determinants of future growth. For 2001, growth should again be about 5%.